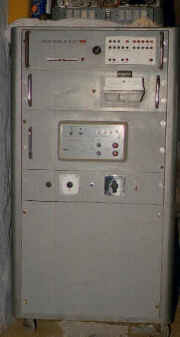 ime-86 - rack mounted program units. 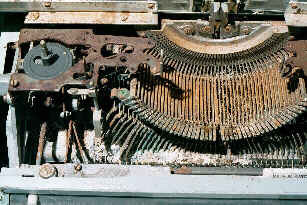 ime-86 - hermes typewriter restoration project. 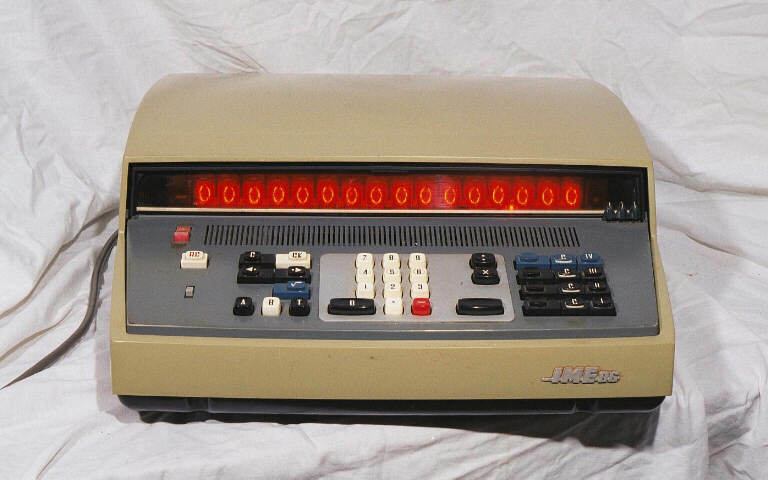 This could be used on its own as a calculator, or with the addition of a programming unit, memory unit and an output unit and HERMES electric typewriter, it became a powerful programmable calculator. The accessory units are outlined below. 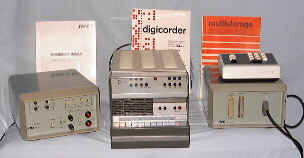 In the centre is the digicorder magnetic core memory and program unit. This connects to the IME86-s via a 50-way cable. It allows up to 512 program steps to be executed. These may be divided into 8 sub-programs of 64 steps, each of which may be selected by the keys on the front of the unit. On the right is the multistorage unit. This allows the storage of up to thirty 16 (decimal) digit numbers. It has its own keypad which allows the manual selection of registers. On the left is the output control unit (OP207). 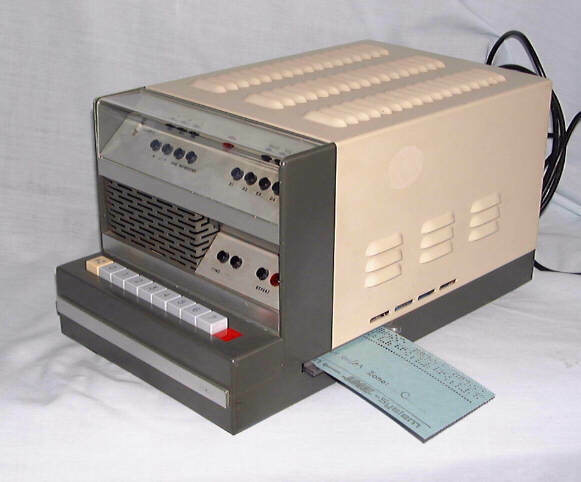 This was usually used to drive a HERMES electric typewriter, but could be programmed to convert codes and be used to drive tape punches or magnetic tape. The typewriter is, unfortunately, missing. The digicorder can be programmed from the calculator or via edge punched cards as shown here. The digicorder was also available in a 19 inch rack mount format, allowing setups such as the one illustrated here. This unit was set up to read experimental results from 8 hole paper tape and process them. (The cabinet is 42 inches high by 22 inches wide by 17 inches deep). 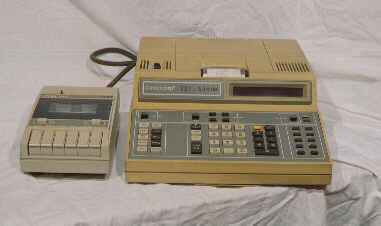 The calculator associated with this unit is not illustrated but is identical to the one shown above. This calculator is complete with its HERMES output typewriter, but unfortunately this was stored in a barn for several years and mice used it to nest in. 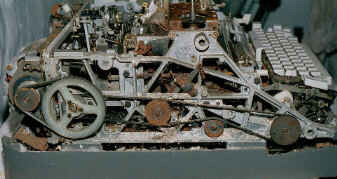 It is now a long term restoration project. The 'snow' below the keys is the corroded alloy casting. 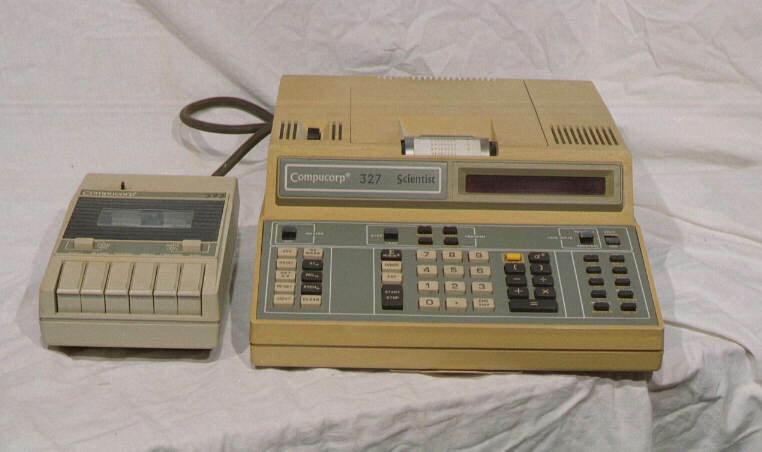 The 325 & 327 series were claimed to be the world's first microcomputers for desktop use and were marketed in the UK by Sumlock Anita. There was also the somewhat smaller model 326, described as being for 'hand use'. The 327, illustrated here had 44 stores and could be programmed with up to 416 program steps. Programs could be stored on cassette tape on a separate cassette recorder. 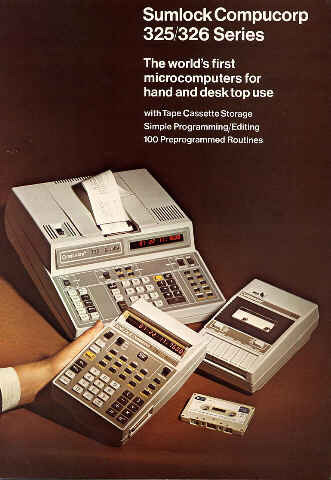 An attraction of these calculators was the comprehensive and well documented suite of software that was available. Advertising literature for the 325/326 series calculators. 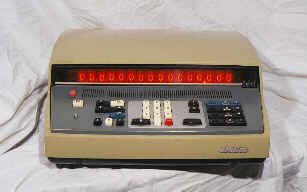 The 'handheld' model 326 had 12 registers and a 160 step program memory. According to a pencilled note on this literature, the price of the 325 was £1195.00, (this was mid 1970s).